Firenze | Retired and Lovin' it. 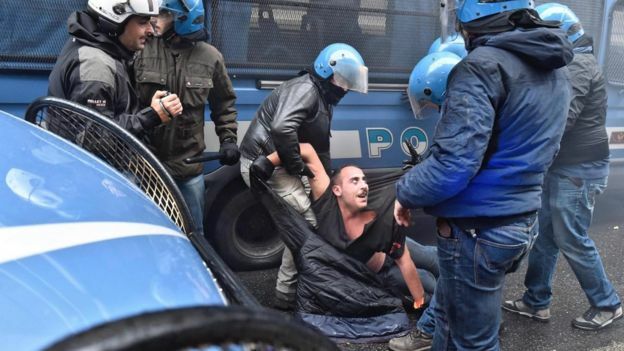 Hundreds of hooded anti-government protesters have clashed with Italian police in Florence as they demonstrated against a constitutional referendum put forward by Prime Minister Matteo Renzi. They threw smoke bombs and firecrackers at police, who responded with tear gas. The bill aims to reduce the role of the Senate and cut powers of regional governments. Opponents say it will lead to an excessive concentration of power. Mr Renzi has vowed to resign if he loses the 4 December vote. He says the plan will streamline the Italian parliament, cut costs and give Italy more stable government. But recent opinion polls suggest voters will reject it. The young protesters were marching through the centre of Florence trying to reach a building where Mr Renzi’s Democratic Party was holding its annual convention. 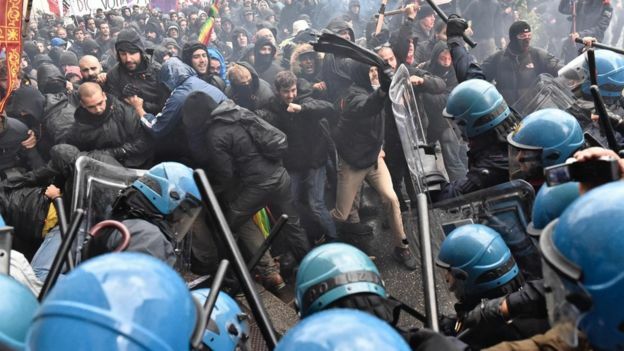 Demonstrators, some carrying banners reading “No to Renzi”, tried to separate from the police in riot gear by dragging metal fences into the streets. Reports said they were among a larger group of peaceful protesters against the referendum. One officer was hurt in the leg during the clashes, Italian media said. 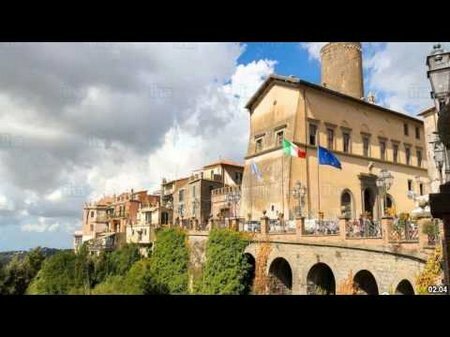 This entry was posted in Firenze, Italy, Politics and tagged clash with police politics, Florece, International populist movements, Italy on December 14, 2016 by up4air. Today Rick Steves, ” A Pocket Guide to Florence” arrived in the mail. 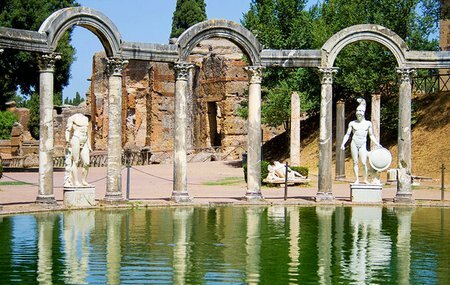 Last year we visited Rome ahead of a Seabourn cruise of the Greek Islands. The cruise landed in Venice, where we met our friends, Markus and Alexandra, before moving on to Florence for four days. 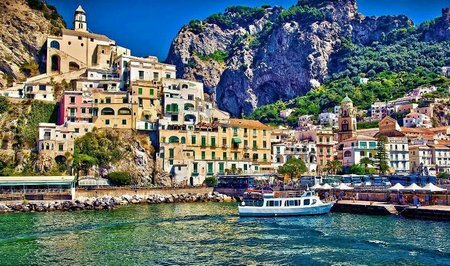 We absolutely loved the Greek Islands and Italy. We vowed to return to Italy for an extended stay. We also hope to do some island hopping in Greece, but on another trip. 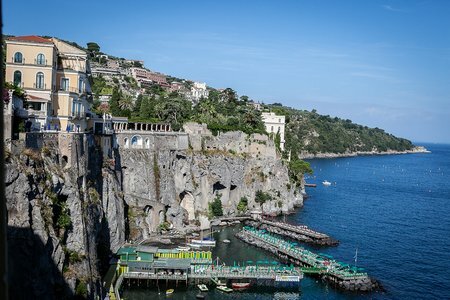 For us, a return trip to Italy came first. 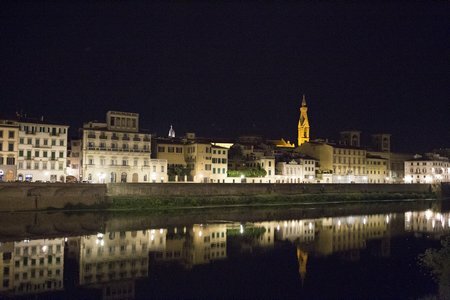 Today, thinking back on our last Italian sojourn, Florence stands out as the place to stay for an extended time. Rome and Venice are outstanding. We had a wonderful time learning how to live in both cities; walking the streets seeing the piazzas, seeing world renound art in museums and discovering lesser known ones. We both enjoy taking chances on trattorias with an occasional forgettable experience. Rome and Venice are perhaps the most stunning cities in the world. In spite of all that, for us, Florence felt like home. I remembered vividly two Florentine restaurants where we had lunch.Unfortunately I did not remember their names and couldn’t locate them on a detailed map. 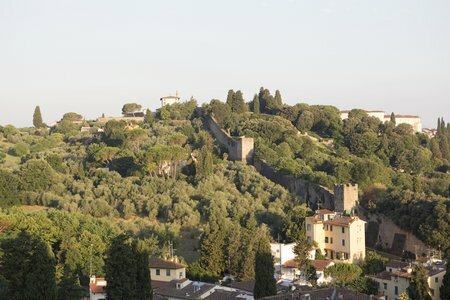 But… looking back over our Florence blog, I found one is “Il Barroccio”. I remember that the other is closer to the Giardino della Gherardesca and the Four Seasons Hotel. 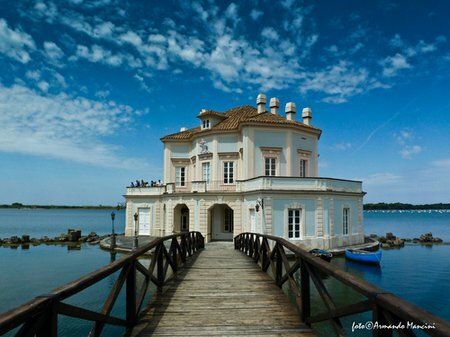 There it was in our blog: Trattoria Cibreo. 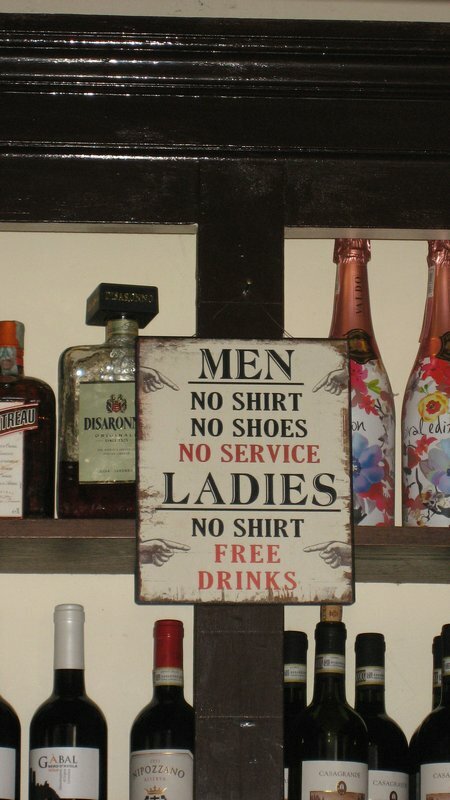 Many other restaurants were memorable for service or for their location. These two restaurants were unassuming and served the most wonderful dishes. 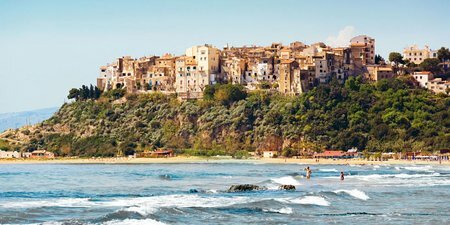 This trip first lands us in Palermo, Sicily where we rent a car and drive the north shore of Sicily to Messina. 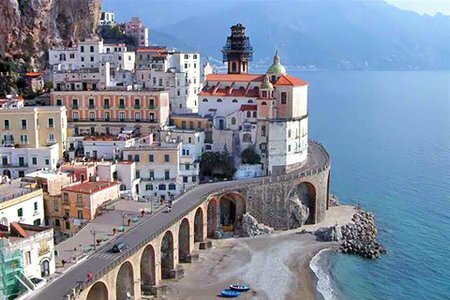 From Messina we take a ferry and train to Salerno. 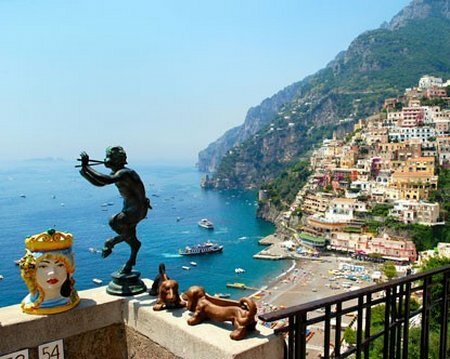 From Salerno we self-tour Capri, Sorrento, Positano, Amalfi, and Ravello before renting a car for a month at Salerno. From Salerno we drive the coast visiting Paestum, Pompeii, Torre del Greco, Erculo, Bacoli, Gaeta, and Sperlonga before turning inland toward Tivoli. 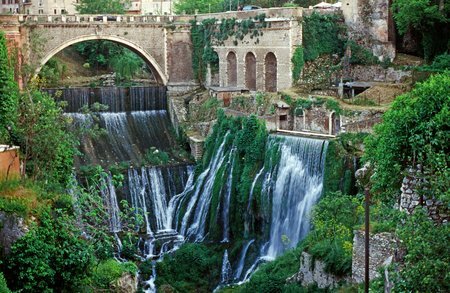 We will visit some of the castle towns of Velletri, Genzano, Ariccia, Albano, Laziale, Castel Gandolfo, or Frascati then stop in Tivoli. 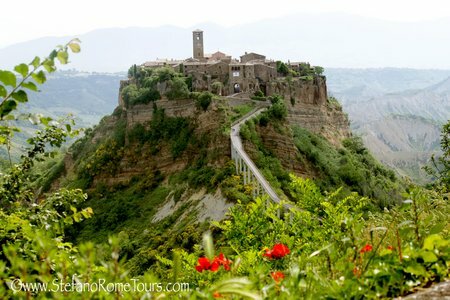 The road from Tivoli to Orvieto runs near Calcata and Bagnoregio. From Orvieto we drive to Florence. All our lodging for this eighteen day trip as well as our six weeks in Florence is now booked and confirmed. Booking accommodations was amusing if sometimes frustrating. I used bookings.com, homeaway.com, tripadvisor.com, and hotels.com. Often a listing was common to all with different prices. Sometimes one site would have a listing the others did not. Where prices differed, some included the taxes and fees in the price, some included just fees or just taxes, some included neither. The least expensive listing often was acutally the most expensive after fees and taxes. We booked six stays through bookings.com, four through homeaway.com, three through TripAdvisor, and two through hotels.com. 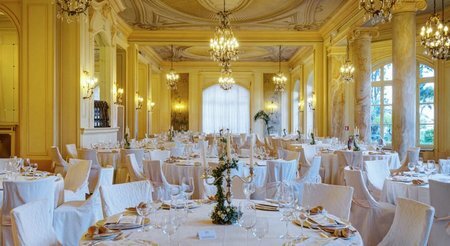 We booked our stay at the Villa Igiea, Palermo directly. We would book our connections now, but it is not possible to do so online. Train tickets can only be booked 120 days in advance and the 2017 ferry schedules are not yet avaiable online. Then too, it may be better not to book ahead to avoid missing a connection. What a marvelous adventure awaits. 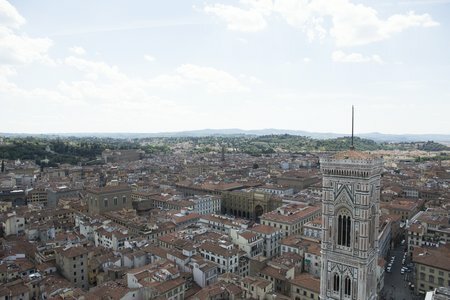 Here are some stock photos that present the scope of our travels from Palermo to Florence. 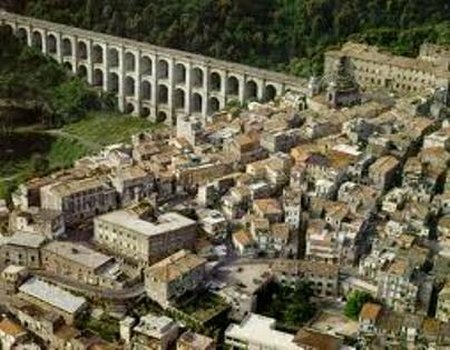 This entry was posted in Firenze, Future Travel, Italy, Italy, Travel List and tagged Albano Laziale, Almafi, Arricia, Bacoli, Bagnoregio, Cakcata, Capri, Cefalu, Gaeta, Italy, Lavenzo, Orvieto, Paestum, Palermo, Positano, Salerno, Sorrento, Sperlonga, Tivoli, Valletri, Villa Igiea on November 1, 2016 by up4air. In the past year “almost daily” had become “almost never”. We did squeeze our Galapagos trip in, but for the most part we were selecting materials for our “new” home. Our contractor deserted us toward the end. That really surprised me, though I was on his case pretty much the last two months with time and performace issues. There are a few things left to be done; nothing beyond my capability. On our retirement celebratory cruise, we visited Rome, Istanbul, Venice and discussed returning for two months to live like a local. This was not possible in 2016, ongoing work on the house anchored us here. Next year will be vastly different. We will take a discount tour of Vietnam to see how that experience compares with extravagant (seabourn) and luxury (Nat’ Geo) cruises. We’ll also tour some of the U.S. in the fall. 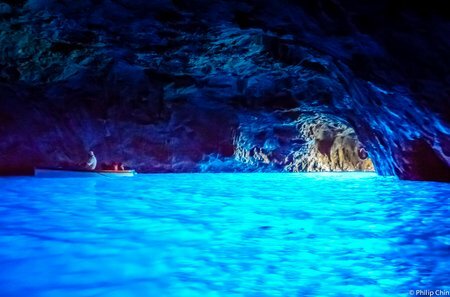 The highlight of next years trips will be a two month return to Italy. 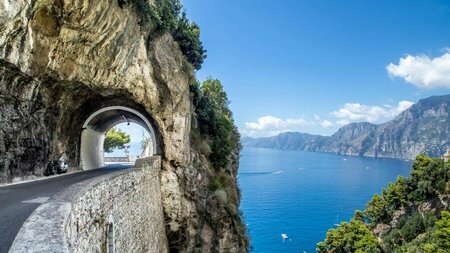 In 2017 we will fly into Palermo, explore Sicily’s north shore, take a ferry and train from Messina to Salerno, explore Capri and Amalfi, explore Tivoli and the castle towns just north of Rome before settling in Florence for six weeks. The Vietnam and Italy trips are all planned out and reservations booked. We will be staying in a quiet neighborhood of Florence that’s not touristy. 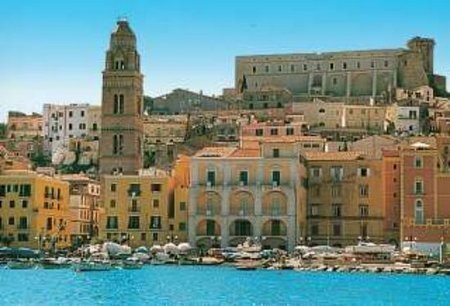 In fact you would not know it’s a vibrant area until early evening when the roll up doors open to reveal bars, trattorias, and night clubs. All our accommodations have been confirmed. It will be interesting to post why we selected these particular hotels, B&Bs, and apartments and what our expectations are. Then later see if our experience exceeds our expectation. For the last month in Florence we will be staying close to “our coffee shop”, il Baretto del Rifrullo that sits below the climb to Michelangelo Square. I have fond memories of having our morning cappuccino there. 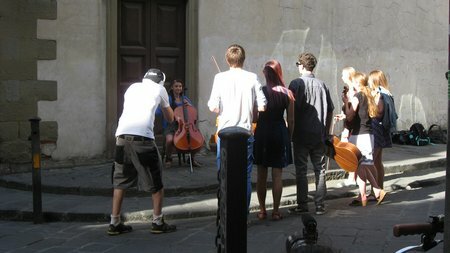 This looked to be a film class creating a film about an impromptu classical music street jam. 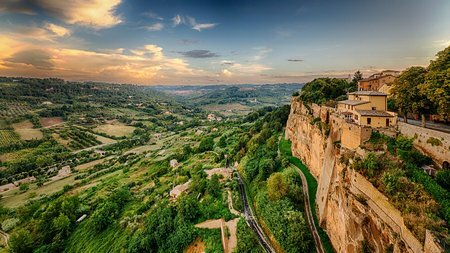 This entry was posted in Firenze, Italy on October 24, 2016 by up4air. I miss Europe. 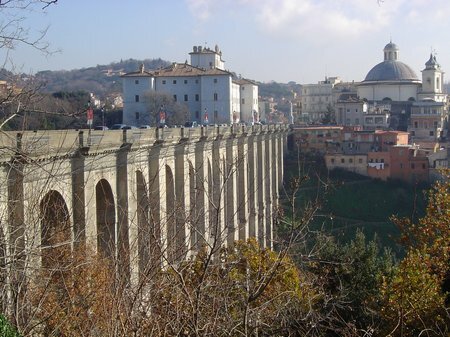 I love the mix of culture, cuisine, antiquity, and beauty that we have found in Italy. I miss Europe. I do. 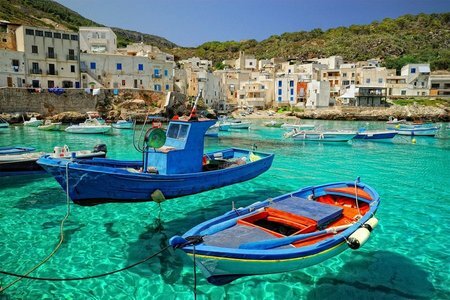 I had planned our last trip to Greece and Italy to continue for another two weeks. We cut short. I was told the weather in late June and into July and August gets oppressive. With some depressing grumbling, I changed plans and literally yanked our last two weeks of our Tuscany trip. In retrospect, I am glad I did. 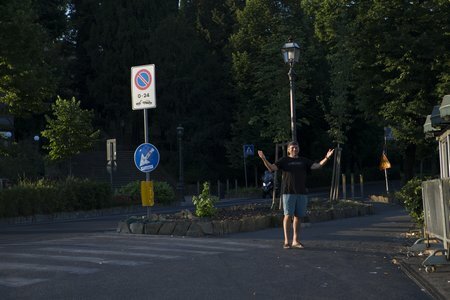 I flagged on some of our walks in Florence in late June. It was hot, still reasonable but hot. If July gets still hotter, I am so glad I came around and dropped the last two weeks. Our plans for the next year: this fall, winter, and next spring are complete. Next fall we are planning to return to Italy for a few months. 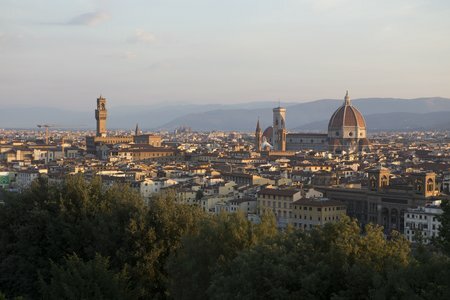 I’ve started looking into villas for rent around Florence and Rome. 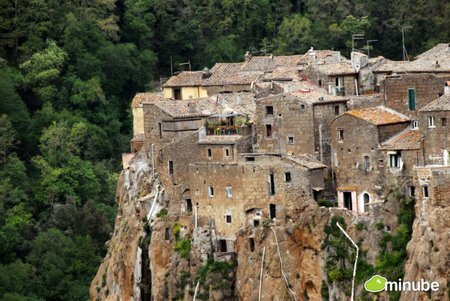 We’ll use a villa as home base for our excursions into the Italian hillside and coastal towns. I can relax, content in the knowledge that we’ll be returning to Italy soon. Troubling though, I would also like to do some island hopping in Greece. On our cruise we found that there is an extensive ferry system throughout the Greek Islands. It’s not difficult to see Greece by ferry. 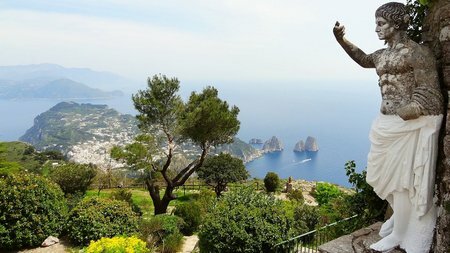 Perhaps we’ll fly into Greece and wend our way back to Italy. There is so much to do. We hope to visit Alaska by RV; tour China and Thailand; revisit Africa a few more times; visit friends in the south of Spain; visit family on Madeira Island; tour Ireland; drive through Eastern Europe, Hungary, Poland, Czechoslovakia, and into Germany; visit Paris and tour the south of France; go skiing in the French and Italian Alps; drive through the Old South, the South West, and North West; canoe in Ontario. That’s just for starters. I have a scrapbook of places we hope to visit tucked away. Every time I come across an amazingly beautiful location or an adventure that’s not life threatening, I paste it into the book. I’ve done enough wacky and dangerous things in the past that I’m no longer interested in pushing the safety envelope. “Moderate” danger is ok. A charging elephant, canoe on the Amazon, bare boat cruising, diving with hammerhead sharks without a safety net, those are all OK by me. Class IV white water kayaking, technical rock climbing, or base jumping are “right out”. All this would be possible but for Ellen whose sense of “safe adventure” is clearly a subset of mine. I truly hate the word, “blessed”. It smacks of a religious sense of “blessed by God”. As an atheist, that drives me crazy. 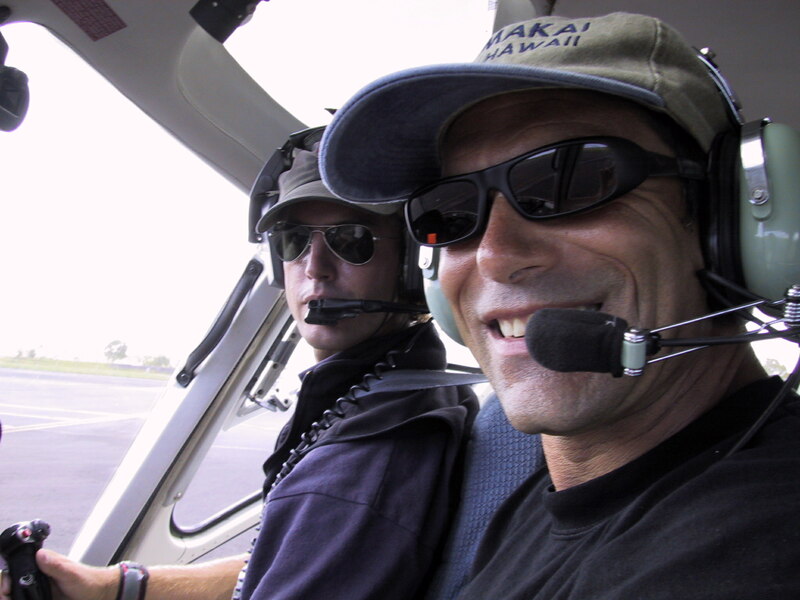 I would rather say that decades of hard work, some risk taking, and a bit of luck made travel and adventure possible for us. We have the opportunity to enjoy ourselves after retirement. We will. This entry was posted in Croatia, Dubrovnik, Firenze, Future Travel, Greece, Monemvasia, Roma, Santorini, Venezia on September 6, 2015 by up4air. Our Photos, Did You Notice? 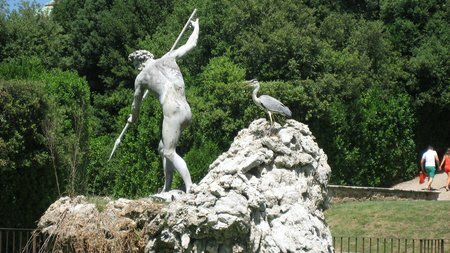 Michelangelo’s David is NOT in Corfu! Some of the shots in Istanbul were out of order. The Blue Mosque appears in two sequences, though we only visited once. That’s not egregious. Worse I had neglicted to remove photos from the root directory, Europe2015, when the subdirectories were created. That too is not egregious. However, there were a significant number of photos attributed to Corfu which clearly should be placed in Florence. I have also included hi-res images and links to them from the thumbnails. The hi-res images can be downloaded. All is right with the world now, or at least all is right with one vastly small part. This entry was posted in Corfu, Firenze, Istanbul, Photos on July 11, 2015 by up4air. 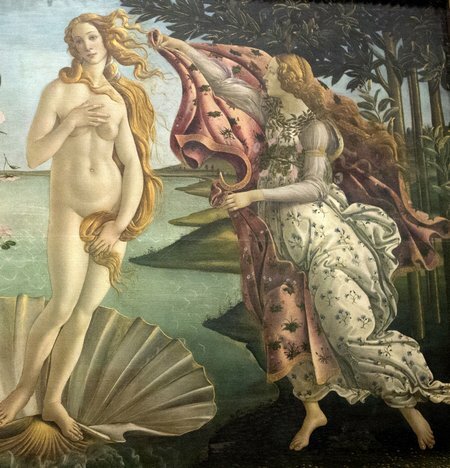 This entry was posted in Firenze, Travel Resources on July 1, 2015 by up4air. This morning Ellen asked if we can read this blog from the airplane. I just copied the blog to a file so that she can read it on the airplane. I expect she will be sharing her perspective on the blog soon. We’re packing this morning and will head off for our last cappuccino at our local cafe until we return in a year and a few months, in the fall of 2016. For now it’s Arrivederci Firenze. This entry was posted in Firenze on June 29, 2015 by up4air. It is around 19:00 and it was a warm day today, a full day. We walked home down from the Michelangelo Piazzale, changed, packed for the day, and went to our local coffee shop for a cappuccino and a doppio machiado. The cream croissants looked good this morning and we took one of those to an outside seat. The cafe was busier than usual. I don’t know if we were later getting started or if Sunday was a busier day. The cream croissant was soooo good, we shared a second one. The idea today was to get into the Duomo, this was a priority for Ellen, and to see the Big Blue exhibit for me. 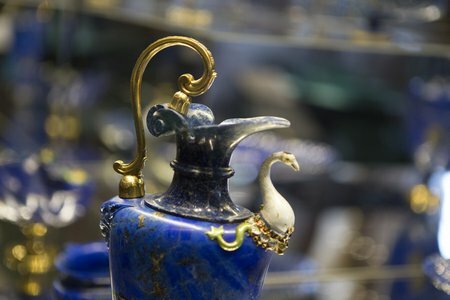 Big Blue is a presentation of lapis lazuli pieces running in Florence through October. We don’t get turned around in daylight anymore. Finding our way to the Duomo was easy. On the way we found the “New York” shop which specializes in creams for men and women. Andrea, the shopkeeper, was a very personable fellow and quite easy to talk to. Ellen would up purchasing a set of creams at a 30% discount. As we talked, Andrea became more animated he began giving us samples. Six samples at first, then six, then two more. As we were about to leave we exchanged names and Andrea pulled out six more samples for Ellen for her eyes. Andrea was a joy. We were in a hurry to the Duomo to beat the crowds, but with our stop with Andrea, that did not happen. We arrived at the piazza to find there were no lines for the Duomo. There were plenty of people milling about, but the crowd was perhaps half what I expected. We rushed over to the Firenze Card entrance and found that the Duomo was closed until 1:30. That was not good, our Firenze Cards would only be good to about 2:15ish. Still, that gave us time to walk to the lapis display near the Pitti Palace, and off we went down Via Por Santa Maria and across Ponte Vecchio toward the palace. 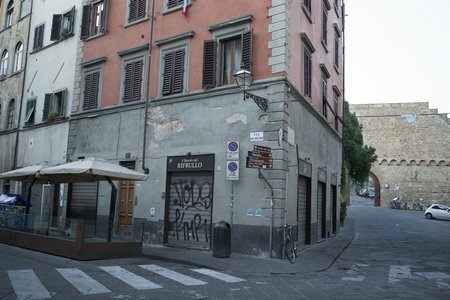 I distinctly remember the location of the door to the Lapis gallery, it was on the left side of Via De Guicciardini. We walked its length from Ponte Vecchio to Pitti Palace and did not find the entrance! It was closed. Ellen walked on in the sun past the palace as I headed to the shade of the palace by the main entrance. I noticed that there were two huge flags hung on either side of the entrance. One advertising the Big Blue Exhibit. I waited for Ellen to return, hoping that she would see me and that I would not have to run down the slope from the palace to the Via and catch up to her before she disappeared into a crowd. As luck would have it Ellen was looking up at the Big Blue flag (in red) as I was searching for her. I waved my arms frantically and we were reunited. She had been looking for a ceramic shop and found nothing of interest. We asked at the gate if the Lapis display was in the palace. Yes, you can enter with your Firenze card go to the library for validation. We knew this from our Friday visit and headed to the library. At the library the ticket gal scanned our card and informed us that the card was good for one visit to a museum, we had already been through the Pitti Palace. True, we had, but we had not seen the lapis exhibit. There was no arguing with this woman, we were not getting in. The entrance to the lapis gallery was just on the right near the exit. As we were walking by, I said to Ellen, lets just see if we can get in with what we have. We tried and we did get in. There is no gem quite like the deep blue of lapis sometime coupled with the aggregate embed. I found the pieces displayed in the gallery fascinating in their simplicity, form, and workmanship. Many pieces were very ornate and festooned with gold. These were less to my liking. 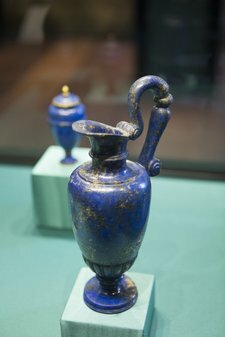 We photographed the lapis part of the exhibit, taking time with a few pieces that appealed to us, and we breezed through the remainder to get out to the Duomo. We had nearly an hours time before the Duomo opened and we were both fading. We had a quick lunch of Magherita Pizza with fresh tomato and basil, a beer, and water and were off to the Duomo. Lunch was quite good. At the Duomo entrance we were told we had to have tickets. Go to #7 by the baptistery entrance to get tickets. OK, great. Off we trotted. It was now 13:45 and our Firenze Pass would expire soon; we had no idea when exactly, but we knew it was close. 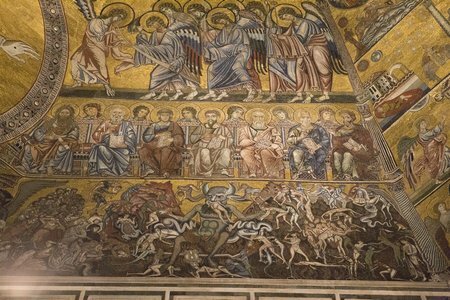 We flew around the baptistery dodging tourists in heavy heat. We continued half way around the Duomo and found nothing. Walking back toward the baptistery, we walked past a line for tickets and Ellen barged the line to enquire inside where we could use our Firenze Pass. She was not popular with the one or two hundred people in line. 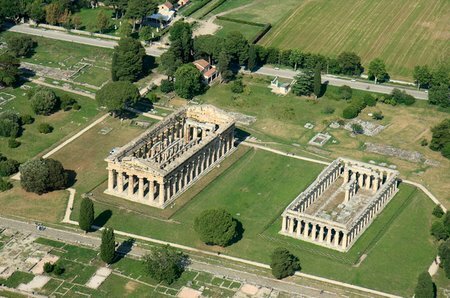 Again Ellen was told #7 near the baptistery, but this time “right across from the baptistery entrance” was the necessary clue. That made the difference, we found #7 and had tickets for the Duomo in hand a few moments later. 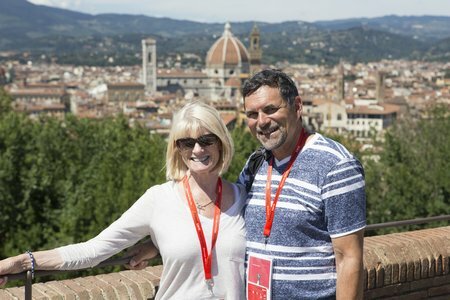 Our Firenze Pass had not expired! The ticket agent was extremely helpful, telling us to see the baptistery first as it was closing in 5 minutes, then walk to the top of the dome, then see the Duomo. 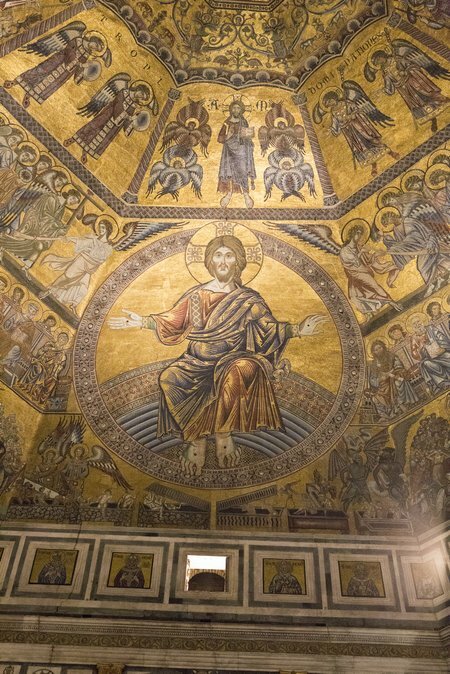 Sure, we thought, but we’ll skip the walk up the stairs to the cupola and just visit the Duomo after the baptistery. Off we went to the baptistery which was just closing. We were the last two people admitted today. The baptistery was cold and dark, a welcome change from the heat outside. We’ve taken a few pictures of the baptistery. We exited and headed to the Duomo entrance. There was an extremely long line to get in, but the priority and Firenze Pass line was empty and we walked right in, skipping the line. We never waited in line for any museum in Florence. Our Pass got us in past the hoards of tourists outside. It was no help with the hoards inside, but that can be avoided by going early or late. In this case we went late mid-day. Not the best planning. Once inside the Duomo, we followed the couple ahead of us into a narrow corridor and up a flight of stairs for a few steps then stopped. The flight of stairs was maybe a meter wide at this point and the line ahead of us was moving two or three steps then waiting for half a minute then moving up eight steps and waiting. Weird, I thought. Ellen immediately knew we were not going into the Duomo, but going up to the cupola. The steps narrowed and grew steeper, and the temperature in the stairway grew as we rose higher. After about twenty minutes, the stairs opened onto a walkway around the base of the cupola, very high above the floor of the Duomo. This was awesome. As we walked the semi-circular catwalk we took photos of the dome now not so high above us. The walkway led into another narrow corridor that led to a steep spiral stairway going straight up. Again the line moved a few steps at a time. Eventually the stairway leveled out as we met groups descending. It was quite tight in the corridor and on the stairs. In some places two people could not pass each other. The corridor let to very steep stairways going up at maybe 50 degrees that went on forever, but opened onto a landing at the very top of the Duomo dome. This was still more awesome. As we exited the stairway, I asked an attendant how many stairs there were getting to the top. 463 or 464 is what she told me. The view from the top of the cupola was a treat. We spent quite some time soaking in the view and enjoying a breeze. Going down was much quicker. At the bottom we searched for the Red Firenze Pass entry marker for the Duomo and not seeing one asked an attendant who said, there is no Firenze Pass, the Duomo is a church with access for all. We took one look at the line that was hundreds of people long and chose to skip the ground floor view. We had been IN the Duomo, just not at ground level. We headed off to find luggage to replace my carry on that is heavy and getting old. We may bring all four pieces back with us and not jettison my carry on. We’ll know later. We found a few luggage shops from very high end to reasonable (read cheap). By now thought of food and wine were paramount. We stopped at a restaurant adjoining a hotel and had another remarkable meal. Antipasti, ravioli with butter and basil, osso buco a la Florentine, water, and a glass of Chianti Classico. Our waiter was a fun loving guy who sang to the ladies and joked with the men. He charged Ellen’s Iphone for us while we ate. After our very early dinner, we headed back to the inexpensive luggage shop to buy a medium sized hard shell case and headed home for a siesta. We decided to close out the day by watching the sun set from Piazzale Michelangelo and hiked up the stairs to the overlook. It was much easier going up in the morning than it was now; the heat and our exhaustion from the day’s earlier climb had the better of us. 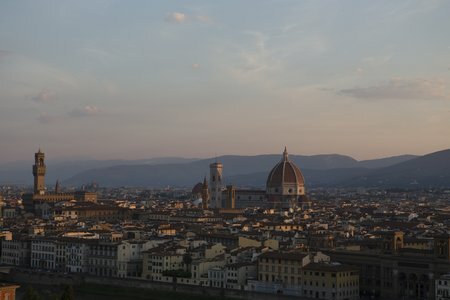 Still we enjoyed our last sunset in Florence, a walk back down to the San Niccolo tower, and a gelato at a neighborhood shop. We’re relaxing ahead of packing to head home. I called a taxi to pick us up tomorrow, but they will not take reservations from people who do not have a local phone number. It would be rude to leave Alexandra’s number so I’ll call a bit ahead of time tomorrow. We’ll leave well enough ahead of time to avoid having to stay another day. Already we are formulating plans to come back to Tuscany for two months in the fall of 2016. Our fall and springs are “booked” until then. We’ve asked ourselves which part of the past month of travel we loved best and we cannot come up with an answer. There were so many wonderful days in very unusual places that each one stands on its own merit. As for picking a photo to sum up our retirement trip, something I had hoped to be able to do. It is impossible. We will review this trip in detail on the travel forum when we get home and have time to digest the details of which restaurant, which Island, and the how, what, and when of things. This entry was posted in Firenze on June 28, 2015 by up4air. The alarm sounded this time and I shut that bad boy off. It was far to early for any sane person to roll out of bed. I slept fitfully for another forty five minutes. In the end the drive to see sunrise from the “Spanish steps” won out over sanity, I lept out of bed. Ellen asked what’s wrong where are you going. “Off to see the sunrise if it’s not too late” Ellen, “I’ll come”. Me, “I’ll see you up there.” Ellen can be slow getting started, she reviews everything she plans to take, gathers up her stuff, puts it away, reconsiders what to take, reviews what she has. This can take some time. I’m glad she does this, often someting she brings along “saves the day”. For me, I just threw on some shorts, a shirt, grabbed the camera and slipped on my sandals and I was gone. The hike to the overlook up the stairs was not bad. It was cool, but not cold. The walk was invigorating. I was alone climbing the stairs. There were seven others at the overlook aside from the coffee and beer vendors and a cleaning crew: a Russian couple, a striking blond woman in a bright orange dress; three Italians who arrived on two vespas; one Asian guy; and me. The sun had risen but had not broken above the surrounding hills. 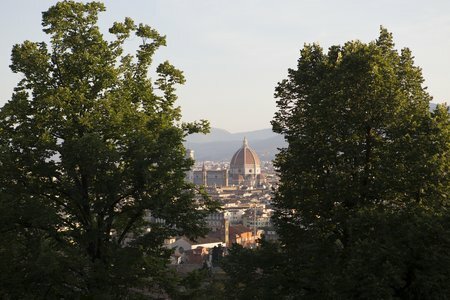 The outlook at Piazzale Michelangelo is quite dramatic and affords a wonderful view over the old city of Florence. After about twenty minutes, just before the sun peaked over the hills, I heard Ellen’s voice behind me, “Hello”. I was great that she came up before the sun lit up the valley. It did not feel good leaving her behind, but I did want to be sure not to miss the morning light over the city and watch the subtle changes. It was great being together at sunrise. Early, but not early enough! I did set the alarm and thought I had slept through it when awoke at 7:30. A quick check showed the alarm on my kindle set to 4:45 am, but for weekdays only. That’s been fixed and we’ll try again tomorrow. Off for cappuccino and a crossant at our local trattoria, Rifrullo. In the morning it is a sleepy cafe, in the evening this trattoria is at the gateway to Plazzale Michelangelo and it is extremely busy. The transformation is hard to believe, you have to see it yourself. We’ve enjoyed our stay in San Niccolo, with the locals primarily. 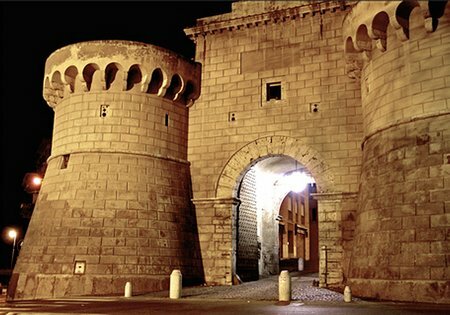 It is on the south side of the Arno but still within the old city walls. After our morning coffee, we walked to the Academia museum to view Michelangelo’s David. We arrived “early” and the line was already down the block. It promised to be a zoo inside. I queued up wondering where Ellen had gone. After a few minutes I noticed her scanning the queue and I waved. She noticed and waved me over. She had asked one of the museum folks (for lack of a better word) when was the best time to come and the woman said that if we come in the evening after dinner the museum is empty. Really? Ok, we left and stumbled into a non-descript church/museum. There was an entry fee, but not for Firenze card holders; we were in. The interior courtyard was peaceful and we took seats to rest for a moment. Then inside one room there was a video description of the restoration process of one of the frescos. It was informative and fascinating in a geeky sort of way. Also in the room was one of the old bells from the tower. The way the bell was attached to a wooden beam was amazing in itself. The bell stood as tall as I am. I’ll post photos of the hanging mechanics on “gypsies”. 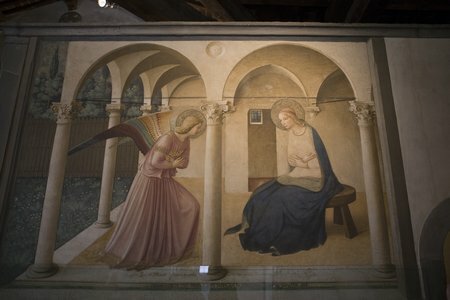 The annunciation by Fra Angelico in the Museo de San Marco considered revolutionary because of its spacial awareness. It is a transition from Gothic to Renaissance. Going up stairs was a mind blowing experience. 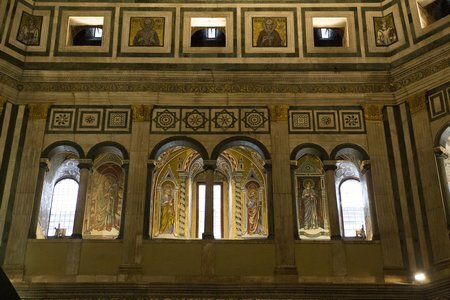 One of the most famous frescos of the annunciation stands at the top of the stairs. Now I’m anything but religious, and not given to admiring religious art. The artwork I’ve seen in Italy is outstanding and this fresco is no exception. To just wander into a church and find such a relic blows my mind. There were illustrated bound books of music, clearly of a 12 tone scale, with pages open in the main upstairs chamber as well as a description of the materials used to “paint” the illustrations. Imagine a book two feet six inches by eighteen inches with a quarter inch leather front and back cover. Each page is one third illustration and two thirds music. The music is layed out in four bars with notes centered and straddling the bars. It will be fun to play a few stanzas of this at home. We’ve photographed what we could. The ceiling of the church was finished in the same way our apartment is. It has beams running horizontal with ceramic tiles cemented together running along the beams. Clearly this church is much older, dating from the 12th century, but interestingly the construction is contemporary with our flat. In the very last alcove of the second floor of the church there is a missing painting. 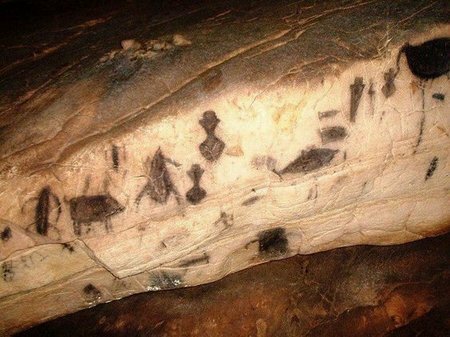 The iron hooks that hold the piece are there; not the painting. In a small placard there was a card stating that the Michelangelo painting is on loan and can be viewed in the Tokyo Museum. By now lunch time was in full swing. 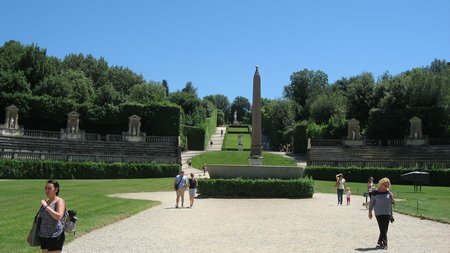 We happened upon the botanical gardens of Firenze and walked the gardens until close to two oclock. We prefer to avoid crowds of people looking for lunch. Heading back towards the Duomo, we stumbled upon the Four Seasons Hotel, Firenze. We walked inside, toured the grounds, and came upon al fresco patio dining. The menu was two to three times more expensive than similar items are in the tourist areas which are already 2x more than elsewhere. Sanity prevailed over hunger; we left in search of a good lunch. While we were touring the Four Seasons, a golf cart with a notable couple cruised by. They were the only people we saw on our garden walk. Outside the Four Seasons, and having lost our sense of direction, we walked past a trattoria, kept walking, discussed eating there and hunger won out. As we were seated at Cibreo, I noticed the couple from the Four Seasons was seated beside us. We ordered a chef selection of antipasti, a tuna special, and chicken meat balls with potato. I ordered a beer and the waiter’s expression was enough for me to switch to red wine, a nebbiolo. Bread was served first with a small dish of a wonderful paste that went perfectly with the bread. The combination of flavors was so well melded, we could not identify any of the flavors distinctly. The combination was wonderful. The antipasti was a selection of cured and raw proscuitto, marinated pickle with a caper flavor, duck liver pate with a square of soft parmesan cheese spread, mozzarella cheese, and two wonderful jellied yoghurt plates: one lemon the other tomato and basil/oregano. This was the antipasti! The wine in Florence is among the best in the world. The nebbiolo went very well with the antipasti. The tuna dish was scrumptious. There was a layer of potato or risotto mousse with basil and/or broccoli that made up half of the casserole. Atop that layer was a thin layer of either mild pimento or tomato (both??) with a thin slice of fresh tuna roughly a quarter of an inch thick with buttered seasoned bread crumbs at the very top. This was a very flavorful and fun to eat dish. It was served with a second chafing dish of greens atop a bed of pesto with an abundance of parmesan cheese. The chicken meat balls were served with a bright orange sauce similar in color to a vodka sauce, but not the same. The meat balls were two inches around and very soft. The potato came in a separate chafing dish with cheese and spices. This was a lunch to remember. For Ellen the meat balls were not that special. In truth, the tuna dish and the jelled yoghurt dishes were the best, oh and the nebbiolo. We headed home for our evening siesta. We were quite happy to skip gelato shops. By now it was 16:30. At round 19:30 we headed out. 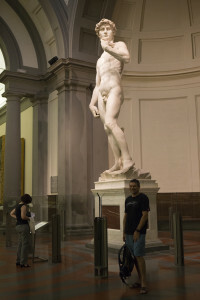 Our only must see was the Academia museum and Michelangele’s David. We got lost on the way by working ourselves entirely off the tourist map into “unknown territory” with mostly Italian speaking people. No problem, but it’s difficult to find your way back when you don’t have a map. 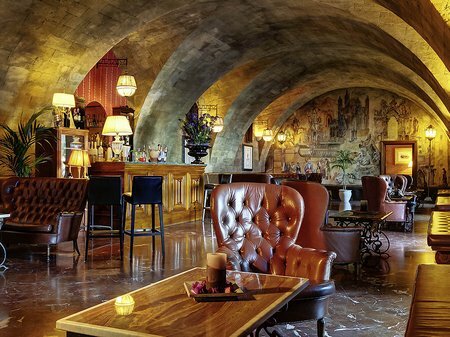 Ellen asked directions at a boutique hotel which turned out to be part of an international chain of boutique hotels. I’ve taken note and may book some of our future stays through them. We had become so used to walking the old part of Firenze that we had walked right out of the map. Finding our way back to the Academia museum with instructions was easy. But wait, nobody was outside. The entry tapes were still up, the museum was open, but NO LINE? We walked in, had our Firenze Passes validated, and walked into a nearly empty museum. I have photos to prove it! 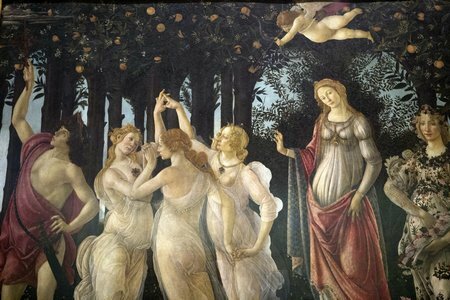 If you are visiting Florence for more than a few days, make it a point to go to the Academia museum after 20:00; the later the better. There may have been ten other people in any of the rooms with us while we were there. This may hold true for any museum open after 20:00. We left the museum at 22:00 and again got turned around, headed in the wrong direction, but we were saved by a kiosk with a map and a “you are here” marker. With that and some soul searching, we found our way back without incident. On the way home before getting lost, we passed a gelato shop near the Duomo that had a line around the corner. We do not know if this was a famous gelato shop or just the only one open nearby. I’ll check later. After getting lost we had gelato at a shop run by a Roma transplant whose husband makes the gelato. My caramelia, a blend of chocolate and caramel, was great. The chocolate in my stracciatella was less than perfect. Ellen had no complaints. We’re home now, had half a melon, some bread, cheese, beer, and wine for late dinner. We hardly needed dinner after our lunch. Tomorrow we will replace my carry on with a larger suitcase to make transporting our new found belongings easier. 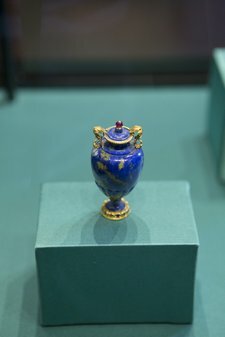 I want to see the Lapis Lazuli exhibit that we stumbled upon when going to the Pitti Palace yesterday, that’s on our list for tomorrow. 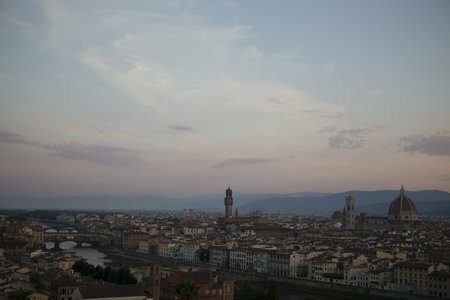 Also a second attempt at sunrise over Florence in the early hours. It’s almost 23:00 now. We’ll see how that goes. Once again we have stayed on the south side of a river across from the the busy tourist part of town. 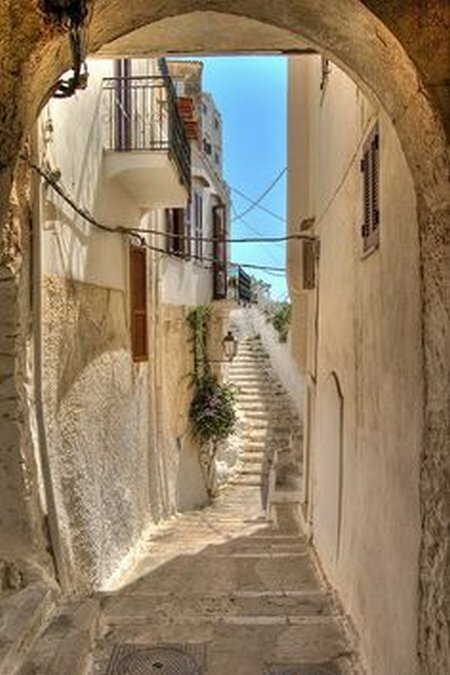 We can easily walk into the old city, and we do every day. We also enjoy walking out of the busy part of town to be with the locals in their trattorias and caffees. It is not that we live in a quite part of town, more that we live in a locals part of town, it feels different. Less English, Russian, and German is spoken. Much more Italian is spoken here. We travelled not to “get away” but to arrive at a new culture and history and to absorb what we can of it. This entry was posted in Firenze on June 27, 2015 by up4air.